In 1993, Angers could already boast three very modern libraries, belonging to the City and to the universities. 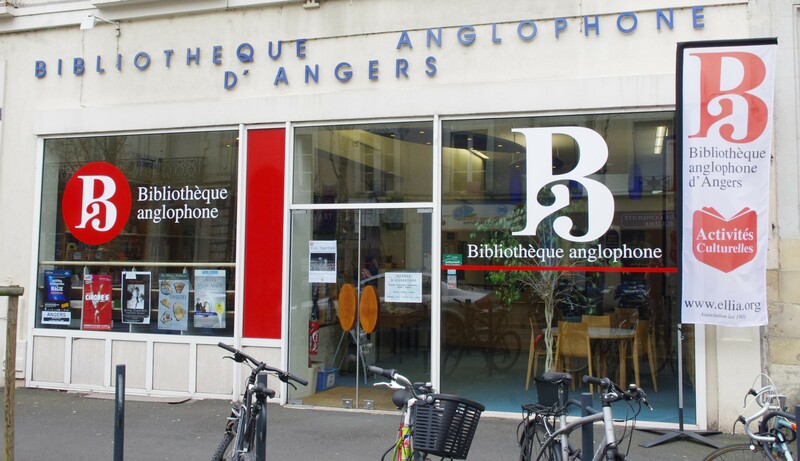 Why then did the Département, the city and these two universities suddenly decide to fund still another one, the so-called American Library in Angers, with its 20,000 books and some 50 magazine subscriptions or more? And a private one at that! To make a long story short, let us recall that 300 kilometers away, in Paris, the first American Library had opened after the First World War, and reopened after the Second. In the 1950’s America shone at the top of its glory, and many people on both sides of the Atlantic gave their support so much so that it was cheerfully decided to open five branches in the French provinces. One of them in Nantes, generously harboured on the university campus! In the 80’s some disagreement occurred and the American Library in Paris withdrew its support. Imagine tens of thousand of books and magazines being packed away into boxes and stored in some dark basement. Professor Forkner of Angers University heard about it, and he suggested that his colleague, Philippe Séjourné who had recently retired, might try to revive this branch apparently extinct! The four partners mentioned above immediately agreed to the proposals presented by Mrs. Pilpoul on behalf of the American Library in Paris, and the General Council proposed the premises that we still love today, renovated as they were with the financial support of both the Département and the city of Angers. Under the dynamic management of Mrs Marshall Raimbeau (universally known as Phoebe), everything went well for quite a while. The library attracted more and more members including many university staff and students. In 2002, the American Library in Paris decided that all branches should be made independent and steer their own courses. It is then that the library decided to adopt a new name, better corresponding to our vocation, in particular because our public came to include more and more English-speaking people, residents of the City or of the Département, and many of them of British origin: the library – by a nearly unanimous vote – proudly asserted its new personality as the English-language Library in Angers. With the help of a growing volunteers corps, the library developed a variety of new activities, while the students and academics of many nationalities continued to form the bulk of its visitors. For this long evolution, sometimes a little more tricky than it may appear here in this summary, we must not forget to express our gratitude to the staff who did the job unremittingly, and to our “Directrice”, Captain Phoebe Marshall Raimbeau who – remember – was appointed as early as 1993 and who – we are glad to say – never thought of abandoning the ship. Thanks to her rich experience and realizing how much is already being achieved in the fields of playing host to hundreds of foreign residents and the distribution of culture, we can all feel assured that our English Language Library will sail to an even brighter future under the creative presidency of Anne Lebeugle.